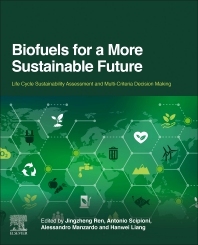 Biofuels for a More Sustainable Future: Life Cycle Sustainability Assessment and Multi-criteria Decision Making provides a comprehensive sustainability analysis of biofuels based on life cycle thinking and develops various multi-dimensional decision-making techniques for prioritizing biofuel production technologies. Taking a transversal approach, the book combines life cycle sustainability assessment, life cycle assessment, life cycle costing analysis, social life cycle assessment, sustainability metrics, triple bottom line, operations research methods, and supply chain design for investigating the critical factors and key enablers that influence the sustainable development of biofuel industry. This book will equip researchers and policymakers in the energy sector with the scientific methodology and metrics needed to develop strategies for viable sustainability transition. It will be a key resource for students, researchers and practitioners seeking to deepen their knowledge on energy planning and current and future trends of biofuel as an alternative fuel. Dr. Jingzheng Ren, Assistant Professor of Modelling for Energy, Environment, and Sustainability at the Department of Industrial and Systems Engineering, The Hong Kong Polytechnic University (PolyU), Hong Kong SAR. Dr. Jingzheng Ren, he has ever been nominated as non-resident Research Fellow of Institute for Security & Development Policy (Sweden), Guest Researcher in Quality and Environmental Research Centre in the University of Padua (Italy), Part-time Professor in Nanjing University of Information Science & Technology (China), and Adjunct Researcher in Chongqing University (China) for his excellent performances in academics. He is an expert of Engineering Operations Management and an Energy Scientist. He also serves as the Associate Editor of SCI indexed Journal-Journal of Renewable and Sustainable Energy, Associate Editor of Renewable Energy & Sustainable Development, and Guest Editors of several leading SCI indexed international Journals. His research focuses on Process System Engineering for better Sustainability. Recently he has specialized in developing mathematical models for solving energy and environmental problems and promoting sustainability transition. He has also authored or co-authored more than 100 papers in the leading refereed journals i.e. AIChE J, Computers & Chemical Engineering, Industrial & Engineering Chemistry, ACS Sustainable Chemistry & Engineering, Energy, Energy Conversion and Management, Renewable & Sustainable Energy Reviews, Renewable Energy, Science of the Total Environment, Chemosphere. He edited a book focusing on hydrogen energy published by Elsevier, contributed more than 10 book chapters, and he is now editing another three books which will be published by Elsevier. Many of his papers have been selected as the Essential Science Indicators top 1% highly cited papers or identified and highlighted as the Key Scientific Article contributing to the excellence in Energy research. He was interviewed by the most read newspaper in Denmark, Jyllands-Posten, in the column of famous names in Denmark and was also featured in the Ny Viden magazine. For his excellence Energy and Sustainability Engineering, he is recurrently invited to give lectures in many countries, i.e. Japan, Italy, China, Greece, Switzerland, Finland, and Sweden. 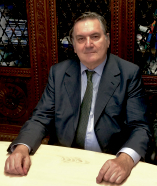 Antonio Scipioni, University of Padova. Professor at the Industrial Engineering Department. He is the Director of CESQA, a leading research group with outstanding research results in the field of environmental and energy management. He is the member of the national committee on environment that approve standards on environmental management issues. He has managed as scientific director several European funded projects for the University of Padova with partners from all over Europe and with a specific focus on Energy issues and sustainability. Alessandro Manzardo is a senior associate researcher in the field of footprint and sustainability assessment in the Department of Industrial Engineering at the University of Padova. He is the chair of the Italian committee at the ISO/TC 207 committee on ISO standards related to environment. He is an active member in several UNEP-Life Cycle Initiative processes on the definition of Life Cycle Assessment and Sustainability methods (e.g. Footprints). He has scored several papers on energy-related topics with specific focus on Hydrogen Energy. Hanwei Liang is an assistant professor in the Collaborative Innovation Center on Forecast and Evaluation of Meteorological Disaster, School of Geography and Remote Sensing, Nanjing University of Information Science & Technology. She obtained her Ph.D. in Engineering from Nagoya University in 2014. Her research mainly focuses on civil engineering and applications of operations research for sustainability. She has published 20 international journal papers in peer-reviewed journals such as Journal of Cleaner Production, Resources, Conservation & Recycling, International Journal of Hydrogen Energy. She is a member of the International Society of Industrial Ecology (ISIE), The Society for Urban Ecology, Sustainability Science, and Society of Environmental Science, Japan.